4/4 George Craske Violin, Made in England. to London to study with William Forster. He later moved to Bath & met renonwned violinists John Loder & Nicolas Mori who encouraged him to make instruments for their pupils. He was a prolific instrument maker, who once repaired Paganini's violin when the great virtuoso visited Birmingham. At a later stage he took a shop on Snow Hill in Birmingham and remained there for around 20 years, eventually retiring to Bath. 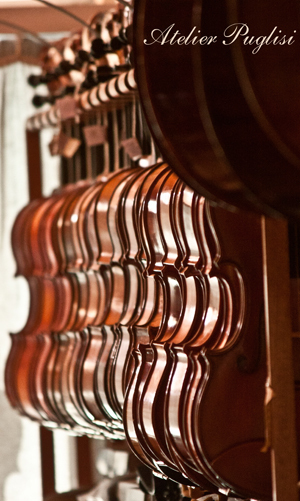 viola's, cello's & double basses. Outline, arching, scroll, soundholes, and all details beautifully done & the varnish of his imitation instruments thought to be superb. Craske's instruments were eventually acquired & sold by the famous Hill & Son's company after his death in 1888.